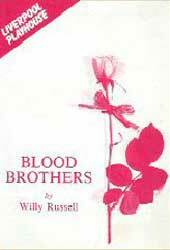 Above: The original poster and programme for Blood Brothers - the Musical: Designed by Adrian Henri. 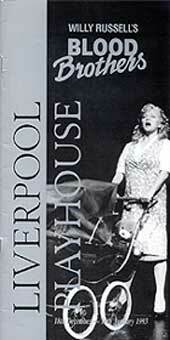 Blood Brothers opened at the Liverpool Playhouse in 1983. Produced in association with Bob Swash Ltd and directed by Chris Bond. 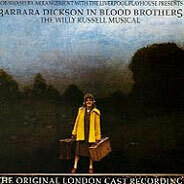 From it's hugely successful Liverpool production it transferred to the Lyric Theatre, Shaftesbury Avenue, London, where it became the musical hit of the season, winning three awards for its author/composer and one for its leading actress/singer Barbara Dickson. 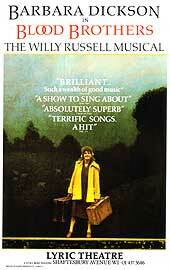 "A masterpiece - if you haven't seen it, go. If you have, go again." Blood Brothers continues to draw the crowds across the globe from Broadway to Australia and has become one of the longest running musicals in the West End, London. 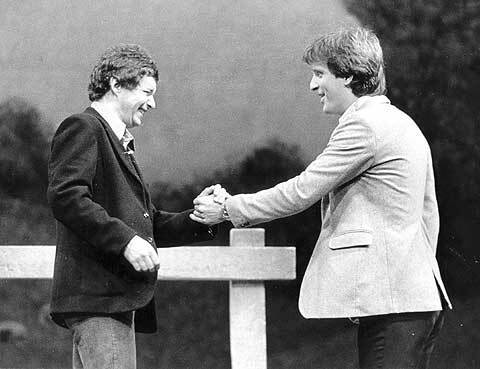 Few musicals have received quite such acclaim as Blood Brothers. Scooping up no less than four awards for BEST MUSICAL and receiving a standing ovation at almost every performance in the West End and in the USA where the show was nominated for six TONY awards. 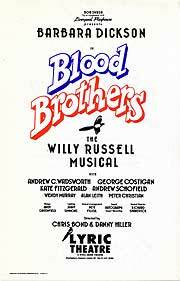 Above: The original flyer for Blood Brothers - the Musical.